Two weeks into owning a Nintendo Switch has me feeling the same way I felt when I bought a 3DS and Wii U–cautiously optimistic. The build quality of the Switch is surprisingly solid compared to the toy-like quality of the Wii U GamePad and 3DS-family of handhelds. It’s not as slick as an Apple device, but it feels like the best piece of hardware Nintendo has made to date. The screen is a big step up from the 3DS and Wii U GamePad as well. Games look crisp and the colors are sharp. It makes it hard to go back to playing games on the 3DS. The Joy-Con controllers pack a lot of functionality (buttons, IR, NFC, rumble) into a small profile, which is impressive. 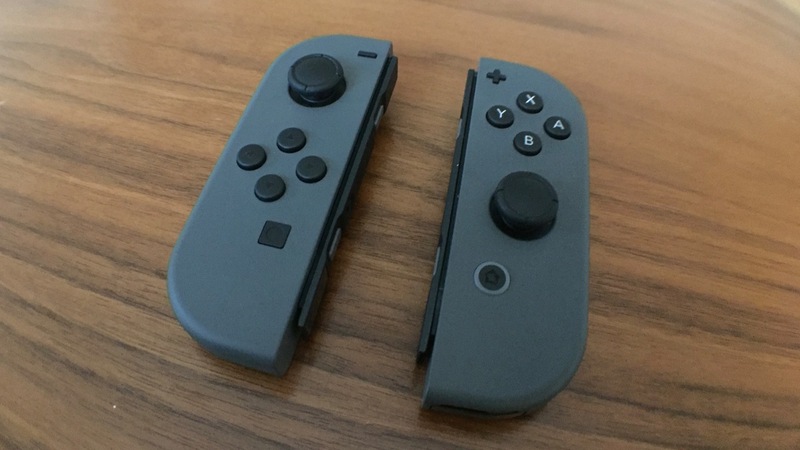 Individually, they’re a bit small for my larger hands, but when they’re attached to the Switch or the grip, they’re pretty comfortable. Sliding them on and off of the Switch is surprisingly satisfying. I’m happy with the build quality of the Switch. The core promise of the Switch–being able to transition between television and portable mode–actually works. Slide the console out of the dock and the game is immediately playable on the go. Slide it back into the dock and it’s up on the television within a few seconds. Being able to enjoy an uncompromised experience on the television and on the go all on the same device feels revelatory. When I think about the PS4, it bums me out that I can’t take the game I’m playing and enjoy it on the bus or in bed. Sure, there’s Remote Play, but with the lag and lack of 1-to-1 button mapping, it’s less than ideal. There’s really something to the simplicity of docking and undocking the Switch. The core innovation of the Switch is refreshing after years of keeping 3D turned off on the 3DS, reluctantly using motion controls, and not finding much use for the Wii U GamePad. I switch between TV mode and portable mode regularly, and it’s something I really value. Without having a gimmick that needs to be utilized, I’m excited to see what core game experiences developers bring to Switch. The Legend of Zelda: Breath of the Wild is fantastic. It instills a sense of wonder and exploration that few games do. The art direction, puzzles, writing, and music are all top notch. I can’t recommend it enough. It’s great in short bursts, but also in longer sessions. It’s the right evolution of Zelda, and it’s a great fit for Switch. The operating system is snappy, minimal, and utilitarian, which is refreshing after years of using 3DS and Wii. It’s lean, and I love it. I want a console operating system to be fast and simple, and that’s what the Switch OS is. 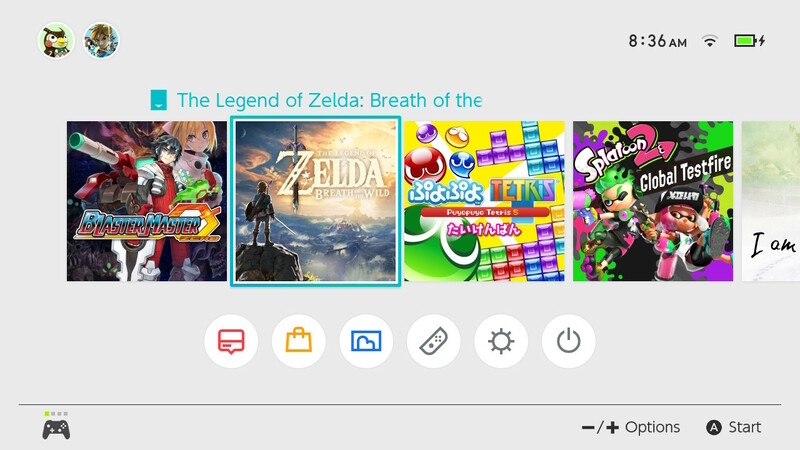 The console is region free, which means that games from any territory can be played on any Switch, which is a welcome change from Nintendo’s recent consoles. I’m looking forward to importing Japanese titles without having to purchase a Japanese Switch. While it’s lacking in some core functionality like save data transfers, I think the current version of OS is a solid foundation that can be built upon. The biggest problem with the Switch right now is the lack of games that have been released or are on the immediate horizon. Zelda being an exception, there’s not much that I’m interested in. Most of the games are ports of pre-existing games (e.g. I am Setsuna, World of Goo), and while I’m happy they’re available, they pale in comparison to Breath of the Wild. Time is on the side of this issue, though. Over the next few months, Puyo Puyo Tetris, Mario Kart 8 Deluxe, and Disgaea 5 Complete will be released, all of which I’m looking forward to. For the rest of 2017 and into 2018, there are some great looking games slated to be released like Super Mario Odyssey, Xenoblade 2, the new Fire Emblem, Wargroove, and Splatoon 2. Right now, aside from Zelda, none of the available games make a compelling case to own a Switch. Speaking of lack of games, what about access to Nintendo’s rich catalog of games? While the lack of Virtual Console at launch is less than ideal, I’m more bummed out by the lack of information surrounding it. Will the Virtual Console games I purchased on 3DS and Wii U be accessible on Switch? I’d expect them to be, but the past has taught me differently. Getting just a discount to repurchase them a third or fourth time around would be a bummer. What consoles will be available? I’d expect NES, SNES, N64, GB(C), and GBA, but who knows, maybe GameCube games will be available too? How will new games be released? Taking the drip feed approach for games that have been released on the previous iterations of the Virtual Console seems silly. 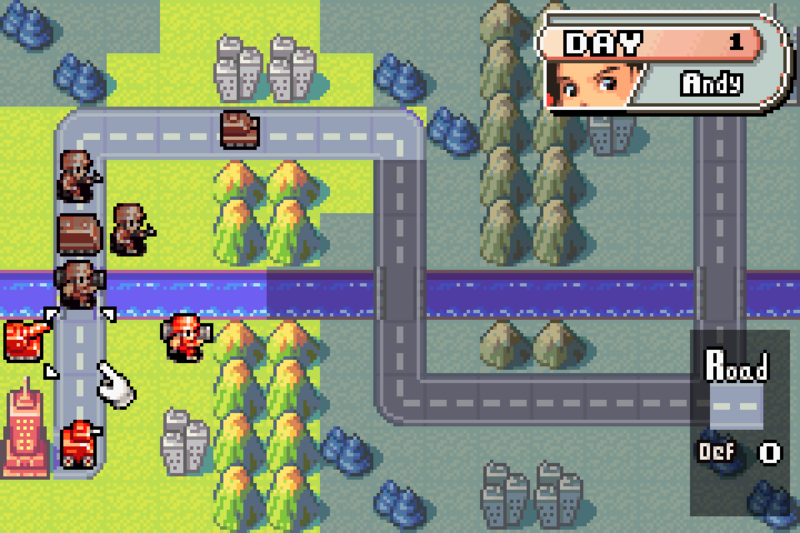 In the early months of the Switch, being able to play some classics would help make the lack great games a little more palatable. I’d at least like to know what to expect. I can’t help but feel a bit down on the online service of the Switch. Similar to the Virtual Console, there’s next to no information about it and how it will work. It feels like it should be a core part of a modern console, and for it to be absent at launch is strange. The jump from free online to a paid service raises my expectations for what it will provide. PlayStation Plus and Xbox Live both offer a pretty decent package with premium features like cloud saves, free games, and seemingly well-supported online gameplay. While it has been reported that Nintendo’s online service will be less expensive, what’s it going to offer and how’s it going to work? There have been reports online of hardware issues, some of which I have experienced and others I haven’t. When new hardware is released to the masses, it’s not uncommon for there to be some hiccups, but a few of the issues seem to be widespread. Luckily, I haven’t noticed any scratches from the dock yet. I’ve decided to be proactive and buy a microfiber cover for the dock to be extra cautious. Buying a screen protector wouldn’t be a bad idea either. 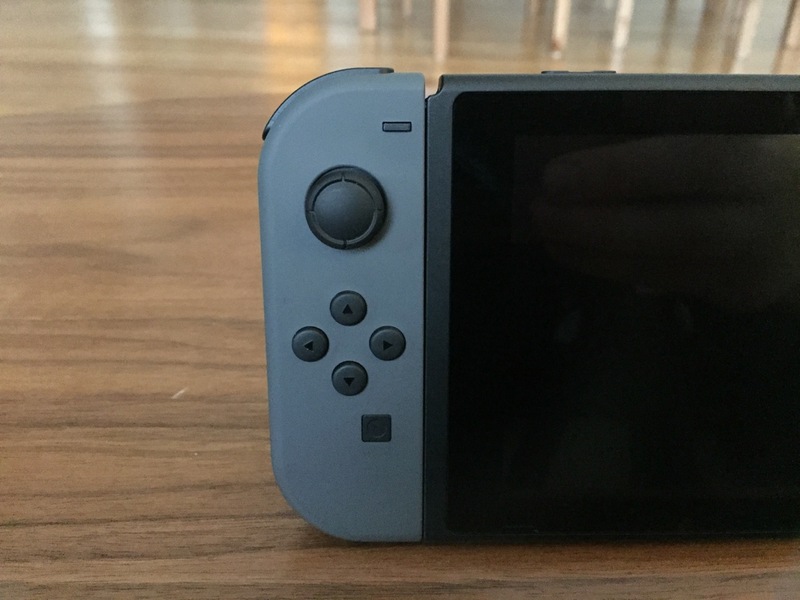 Another common issue is the left Joy-Con dropping connectivity when its line of sight to the console is blocked by a physical object. This is an issue I’ve experienced while playing Breath of the Wild, and it’s not good. I was playing with the consoled docked at my desk, with the Switch two feet away, and I put my hands under the desk on my lap, which caused the left analog stick to become unresponsive. While the fix was simple–just lift the controller up above my desk–it’s not something I expected to have happened. The connectivity seems unusually sensitive compared to other wireless devices communicating over Bluetooth. 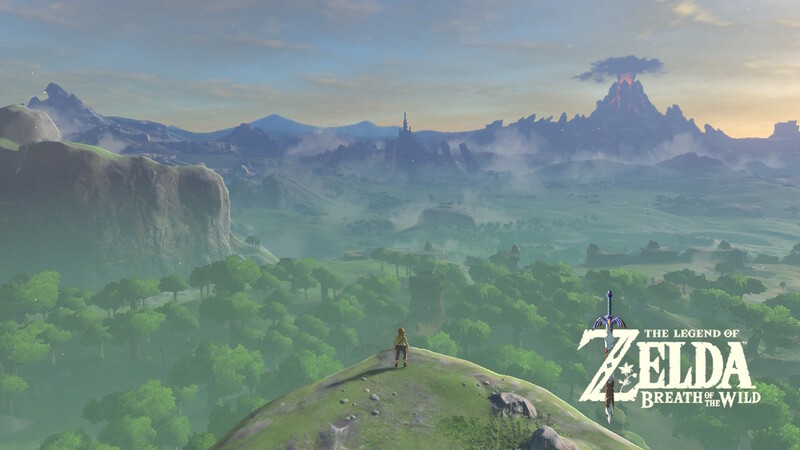 While Breath of the Wild is a great game, there’s not much else that’s worth the purchase. There are too many unknowns at this point to have a sense of what the future will hold for the Switch. I’d recommend waiting until the launch honeymoon ends and more information about the future of the Switch is revealed. Knowing what games are on the horizon, how the Virtual Console is going to be handled, and what the online service looks should help make a better case for owning one. Nintendo Switch is a well-built piece of hardware that has so much potential. The core feature of the device—going from portable to TV mode works well. It’s awesome to go from the bus to the couch to the big screen without having a diminished experience. But a game console with potential isn’t worth much without games to back it up. I’m confident that Nintendo will deliver more high-quality Switch games, as they have with all of their previous consoles. It also seems likely that there will be a decent number indie games hitting the system. But what I’m most curious about and hopeful for are the Japanese third-party publishers like Bandai Namco, Capcom, Sega/Atlus, Nippon Ichi, etc. bringing their games to Switch. I want to see the Japanese game support of the 3DS and Vita be brought to the Switch. The Switch shows so much promise, and I’m excited to see what the future has in store for it. However, after the unexceptional life of the Wii U and the flub of the 3DS launch with the Ambassador Program, the pressure is on more than ever for Nintendo to prove that the Switch is worth owning.